I just love the crisp mornings and cozy evenings which are welcome signs of my favorite season, autumn. The cold nights make the insects want to come indoors as well which are not so welcome. 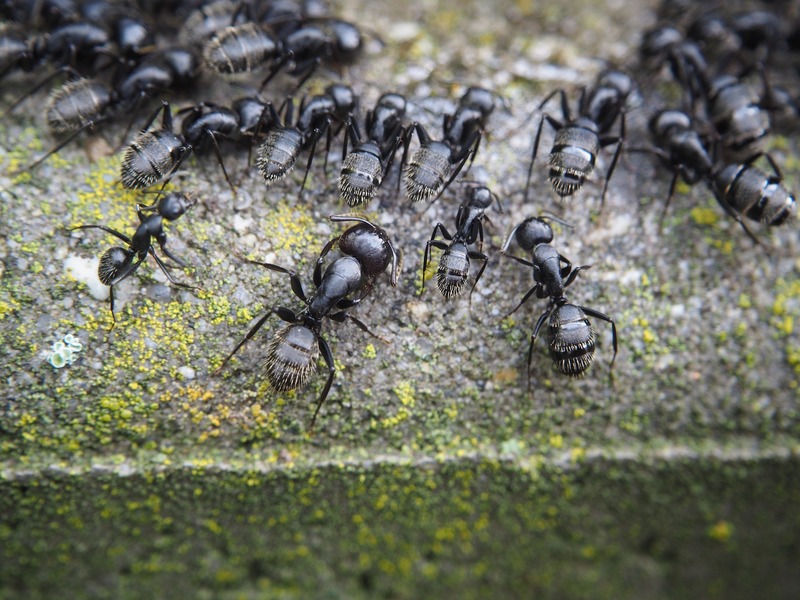 When the temperature dips, insects start eyeing your home as a potential dry winter haven. So they begin to squeeze, hop and crawl their way into your home. It always amazes me how they squeeze through those tiny cracks! Don’t take it personal, they are opportunists and seeking shelter to go into a semi-dormancy state known as diapause. Yup, they hang out in your walls, crawl spaces, attics and even under your bed. Ok, that part is creepy. Several reasons – and some known only to the insects – cause these creatures to choose your home. Thousands of Insects tend to congregate on the side of the house that the sun hits which is west or south facing walls. They retain the sun’s heat and keep them warm. It’s the color which attracts them. Stinkbugs and cluster flies, for example, tend to gather on light-colored surfaces. Ground beetles tend to infest homes that have planting beds located next to the foundation. Make sure your mulch doesn’t touch the foundation which can help. Box elder bugs frequent homes with yards that have female box elder and maple (especially silver maple) trees, the summer food source for these insects. Millipedes migrate from moist, heavily mulched flower beds to moist basements. When insects hibernate in your home, scientists suspect they leave behind chemical attractants that call subsequent generations to gather. They think your house is a cave or the bark of a tree even if you have vinyl siding. They have overlapping pieces with crevices for them to hide and pass the winter. Many people tend to go the chemical route to get rid of these invasive bugs. However, have you stopped to consider the damage these chemicals are doing to you, your family and your pets? After all, isn’t your home supposed to be a safe haven for them? I could write a library full of books to explain it. Keep your family safe in your home this fall and winter and try these Natural Pesticide Home hacks that cost pennies. Click here for more helpful tips from Positive Healthwellness.